The first cells must have arisen from non-living material. The origin of eukaryotic cells can be explained by the endosymbiotic theory. Mitosis is division of the nucleus into two genetically identical daughter nuclei. Chromosomes condense by supercoiling during mitosis. Cytokinesis occurs after mitosis and is different in plant and animal cells. 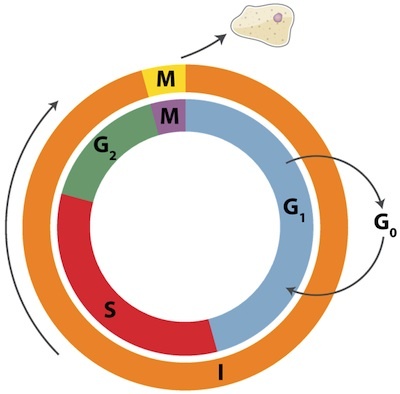 Cyclins are involved in the control of the cell cycle. Mutagens, oncogenes and metastasis are involved in the development of primary and secondary tumours. What is the role of cell division in the origin of life? As well as dividing can cells join together? What would happen if one cell engulfed another without killing it? What are the stages in cell division by mitosis? How do cells control the cell cycle? What causes cell division to go wrong and become cancer? How can the principal that cells come from pre-existing cells be verified. Systems approach - examination of whole organisms / systems. How to decide between the different approaches? Serendipity - discovering by accident, e.g. cyclins. Is this really luck, or intuition? International nature of scientific research is exemplified by the worldwide effort to find causes and treatments for cancer in Oncology. 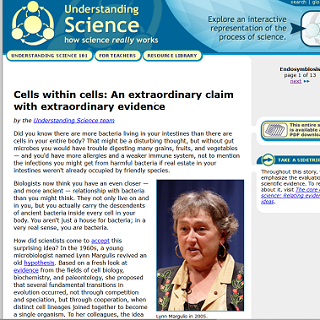 Application: Evidence from Pasteur’s experiments that spontaneous generation of cells and organisms does not now occur on Earth. Application: The correlation between smoking and incidence of cancers. Skill: Identification of phases of mitosis in cells viewed with a microscope or in a micrograph. (prophase, metaphase, anaphase and telophase). Skill: Determination of a mitotic index from a micrograph. Facets of understanding - Explain, Interpret, Apply, Perspective, Empathy, Self understanding.